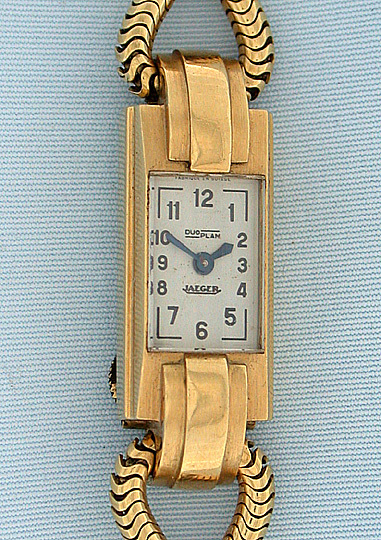 Edmund Jager18K gold Duo Plan rear wind and set Art Deco vintage ladies wrist watch circa 1925. Original dila with graduated numerals and bold blued steel hands. 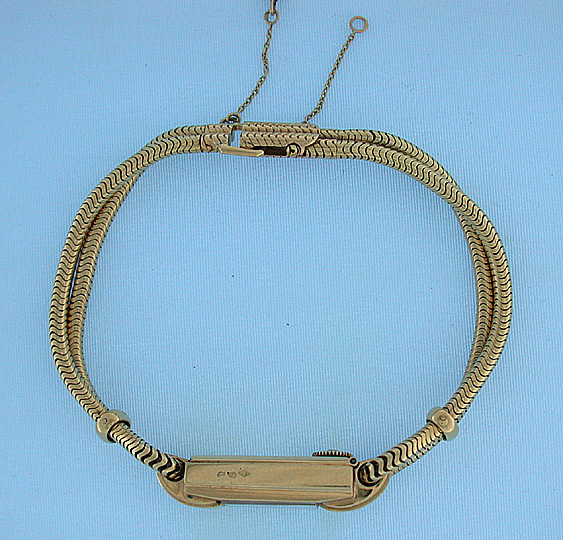 Classic deco case with snake bracelet 7" long overall. Enmund Jaeger founded Jaeger LeCoultre and started Cartier's European Watch and Clock Co. workshps.